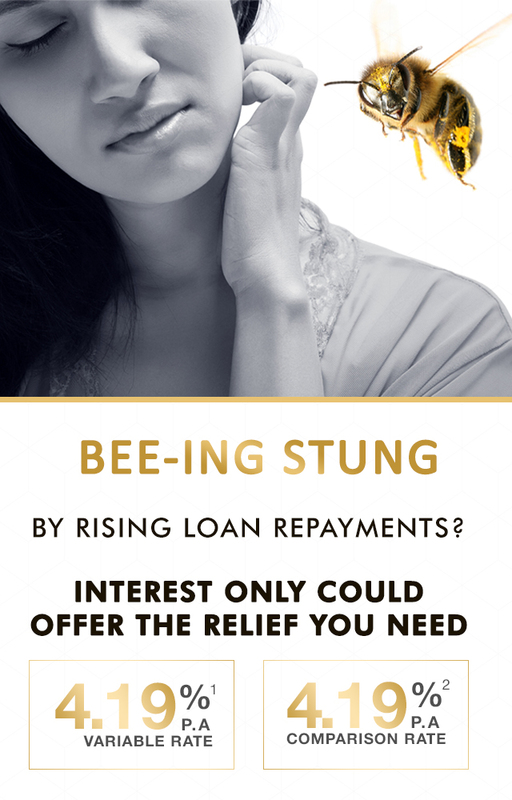 Need relief from the sting of rising loan repayments? Investors can get fast approval on 5-year interest only home loans of $300,000 or more. We’re here to help. Get in touch today. Interest Only is available for owner occupiers too! Get a low 3.99%6 for loans of $300,000 or more, for up to 2 years. Borrow $300,000 & pay as little as $242 p.w.7 Get in touch to find out how low your repayments could be. We believe the future of banking isn’t driven by shareholder profits. We offer customer owned banking and exist for the benefit of you & the community we live in. It’s all good! 1 Product is the Interest Only Investment Home Loan and is only available for investment loans over $300,000 that meet the eligibility criteria. Applications must be submitted between 23 November 2018 and 31 May 2019 and loans must be settled by 30 September 2019 to be eligible. Construction loans need to complete the first draw down by 30 September 2019 to be eligible. 2The comparison rate is calculated based on a secured loan amount of $150,000 over a loan term of 25 years. WARNING: This comparison is true only for the examples given and may not include all fees and charges. Different terms, fees or other loan amounts might result in a different comparison rate. This product is for investment interest-only loans greater than $300,000 for 5 years and is not available for the amount or loan term used in the calculation. 3 During an interest only period, your interest only payments will not reduce your loan balance. This may mean you pay more interest over the life of the loan. After 5 years you will be required to repay/refinance this loan. 4 Loan approval can be provided within 1 business day from the time all required documentation is received. 5 Only new, investment loans to Hunter United of $300,000 or more are eligible for $0 application & $0 valuation fee offer. Fees are payable on existing Hunter United loans being refinanced. 6The comparison rate is calculated based on a secured loan amount of $150,000 over a loan term of 25 years. WARNING: This comparison is true only for the examples given and may not include all fees and charges. Different terms, fees or other loan amounts might result in a different comparison rate. This product is for owner-occupied interest-only loans greater than $300,000 for 2 years and is not available for the amount or loan term used in the calculation. 7 Example shown is for loan amounts of $300,000, with interest only repayments, at the advertised rate. Finance is subject to Hunter United’s normal credit approval process. Full terms and conditions will be included with our loan offer. Fees and charges apply. This information does not take your personal objectives, circumstances or needs into account, please consider whether it is appropriate for you. Information correct as of 15 March 2019.
Credit provider is Hunter United Employees’ Credit Union Ltd ABN 68 087 650 182. AFSL/Australian Credit Licence No: 238316.